The ability of the endocannabinoid (EC) system to control appetite, food intake and energy balance has recently received great attention, particularly in the light of the different modes of action underlying these functions. The EC system modulates rewarding properties of food by acting at specific mesolimbic areas in the brain. 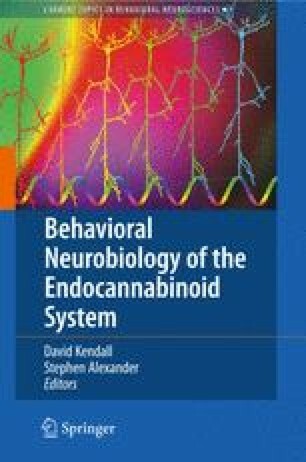 In the hypothalamus, cannabinoid type 1 receptors (CB1) and ECs are integrated components of the networks controlling appetite and food intake. Interestingly, the EC system has recently been shown to control several metabolic functions by acting on peripheral tissues, such as adipocytes, hepatocytes, the skeletal muscles and the endocrine pancreas. The relevance of the system is further strengthened by the notion that visceral obesity seems to be a condition in which an overactivation of the EC system occurs; therefore, drugs interfering with this overactivation by blocking CB1 receptors are considered valuable candidates for the treatment of obesity and related cardiometabolic risk factors.